You Bring the Friends, We’ll Bring the Party Bus Rental in Green Bay WI! Green Bay Party Bus Rentals is proud to announce that we have recently teamed up with Night Out Limousine! This allows us to provide you with even more options and a wider range of services in the Green Bay and Fox Valley areas! ​Just imagine…you and a group of friends rolling up in a party bus or limousine at your next special event in the Green Bay area and all eyes turn to check you out! To say you will travel in style with our luxury transportation rental service is an understatement. In fact, when you choose Green Bay Party Bus Rentals as your go-to for a good time, your social status is bumped to “movie star” the moment you arrive! Our promise is to go above and beyond, to make your event spectacular from start to finish. Whether you’re looking to celebrate a senior prom with a white stretch limo rental or you want to turn the volume up and bring in the New Year in a party bus, our staff of professional chauffeurs will make it spectacular, no matter the event or occasion! Call us or click the free instant quote form button below to book your next adventure today! ​Did You Search “Party Buses Near Me”? Then you’ve come to the right place! We’re your party bus rental and limousine service central! As die-hard Packer fans, we know that there’s more beyond the Lambeau Field and that is why our services branch beyond just Green Bay. We want you to enjoy your party bus rental experience without having to worry about your checking account. That's why Green Bay Party Bus Rentals is the most affordable, cost effective choice for your party bus & limousine needs. We ensure all of our drivers will give you the best night of your life. Get a price quote by clicking on the "FREE INSTANT QUOTE!" button below or call us at (920) 202-8834. ​We are your #1 party bus limo service provider in the Green Bay, WI area. Bachelorette Parties - Woo Hoo! Bachelor Parties - Yeah Bro! Airport Limo Shuttle - "Hey is that Brad Pitt?" Give us a call at (920) 202-8834, or fill out the instant quote form to reserve your night of fun! Every limousine and party bus in our fleet is designed for one thing and one thing only: To provide you with the best party experience possible. Dance in the glow of the neon lights. Crank the music to 11 with our top of the line sound systems. Enjoy a few laughs with your friends over cocktails while you cruise through the Green Bay area in luxury. Do you live in Oshkosh Wisconsin and need a party bus rental or limo service for your next special event? Then look no further than Green Bay Party Bus Rentals! ​We proudly serve the greater Oshkosh WI area and and specialize in transforming dull and boring into a fantastic time that you and your friends will remember forever! From proms to weddings, let us handle all of your Oshkosh limo service needs. If you’re planning a New Year’s party, then our party bus rental pairs great with champagne and friends! Did you know that we have party bus rentals in Appleton Wisconsin just waiting for you and your friends to enjoy? Well, we do and now you know! At Green Bay Party Bus Rentals, we know a few things or two about partying Appleton WI style and we would love to show you how to get down! For starters, our party buses in Appleton WI have a sound system that will make sure that everyone will pay attention when you arrive! As if that wasn’t enough, you and 12-40 friends (depending on the bus size) can party like its 1999! ​In addition to party bus rentals, we offer limo service Appleton WI for your more intimate and classy occasions. ​Step your child’s prom up a few notches and call us for our affordable limousine rentals today! Who says a Packers tailgate party has to include a tailgate? At Green Bay Party Bus Rentals, we want to re-define what it means to be a Packers fan! We all know how amazing it is to celebrate your favorite sports team in Green Bay WI and you might be thinking it can’t get any better than a bowl of chips and a cold beer. Well, we happen to know that a Packers party doesn’t really get started without our party bus rental services. It’s true and we will prove it to you! Call us today to find out more about our Packer tailgating packages and be the King (or Queen) of the game! Everyone searches for “cheap party bus rentals,” but cheap and affordable have two different meanings when it comes to party bus rental prices! Affordable party bus rental prices are for limo companies that believe (as we do) that keeping our prices low and our quality very high is the way to be successful. Cheap party bus rentals, by contrast, are offered by limo companies that charge a low price for low quality accommodations; we have heard of horror stories where wedding parties have gotten into a bus that smelled like vomit! Green Bay Party Bus Rentals is an affordable party bus and limo company in Green Bay that offers world class transportation for prices that won’t put a dent in your happy ending! Celebrating a Bachelorette or Bachelor Party? 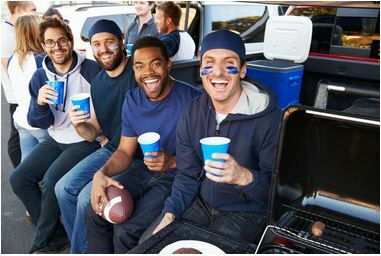 A bachelor party or bachelorette party in the Green Bay, WI area means one thing; celebrating the end of two individual lives and the beginning of a shared adventure! One element to this last night of freedom that is a must is with a limo rental or a party bus rental from Green Bay Party Bus Rentals! And the process is so easy! Simply figure out the time and location you and your pals will need to be picked up for the bachelor party or bachelorette party, how long you will be with us and where you are going, and the final destination place and time; we will give you an instant quote and get you scheduled before you hang up your phone! You can also reach out to us via our web form and we will get back with you asap so you can check limo rental or party bus rental off of the list and move on to the fun stuff: entertainment! When it comes to wedding limo rentals in Green Bay, we will help to make the best day of your life even better! When the wedding budget is calculated one thing that is often at the bottom of the list (and an expense that some couples choose to cut) is the wedding limo rental; don’t give up on this important aspect of your wedding day! Green Bay Party Bus Rentals provides affordable wedding limo rentals that come with a number of bonuses, including a gift from our family to your brand new one! 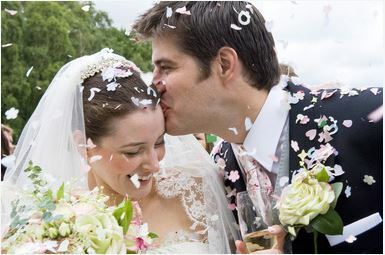 What does our premier wedding limo rental package include? ​Call us now at (920) 202-8834 to find out! Limo or Party Bus Rental for Prom? You Choose! Will your teen enjoy a premier prom limo rental or a prom party bus rental for this memory making event? No matter what you choose (whether party bus rental for prom or a limo rental for prom), you can be sure that when you choose Green Bay Party Bus Rentals you are making an investment in their life they will appreciate long after this special night ends! A prom party bus rental or a prom limo rental also gives you the peace of mind that you know where your teenager will be, as well as making sure that everyone gets to and from the party safe and sound. We want to make this a night to remember for your teen and their friends; call us today to schedule your prom night transportation!